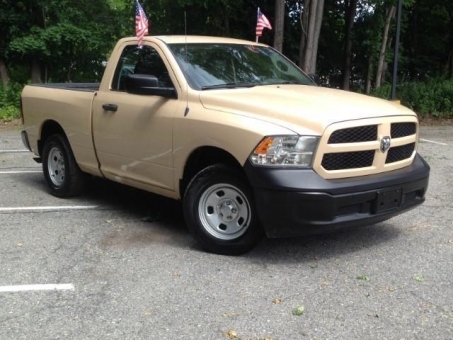 2013 Ram 1500 Great regular cab short bed truck. One owner! Equipped with V6 engine which is well suited for light to medium duty towing and hauling. Comes with all interior power options and traction control. Very clean and ready to go. Get all the news & updates you need! Car auctions have always been interesting, fun and at the same time profitable for both: the seller and the buyer. For used car sellers auctions are a better way to sell their car for the price they want, in a very short time, so if you are looking to trade your Toyota cars, don’t wait too long and list your car for sale for free at Toyota Dealership. Buyers who are looking for: Toyota convertible, Toyota wagon, Toyota sports car and Toyota Van cars, will definitely find them for cheap in our Toyota inventory. At our Toyota car dealership you’ll find Toyota offers that won’t let you be indifferent. Toyota Corolla S, Toyota Camry LE, Toyota Camry hybrid, Toyota Highlander hybrid, Toyota RAV4, Toyota Tacoma X Runner all these cars are waiting for you at Toyota Dealerships. For a stress-free car shopping experience, drivers from all over the country choose our Toyota car selling platform. Toyota Dealership strives to make the sometimes-mundane process of car buying exciting and enjoyable. We do our best to deliver top-notch customer service by exceeding the expectations of our customers who visit our site. Buy and sell Toyota models with us and be a part of our Toyota community.